Ivanka is as economically ignorant as her father. Just why does she think free markets would fail in ?job training or the posting of jobs? This perspective is silly. She is simply a junior to her father in thinking she can manage the private sector (with government help). This is not draining the swamp, it is creating another spot where opportunists who live off of government crony payouts can ply their activity. 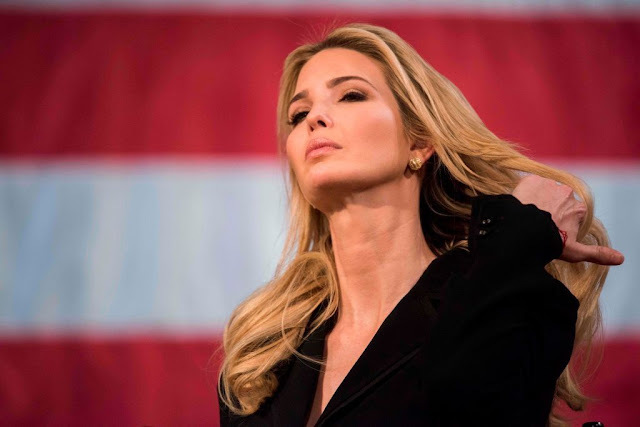 Ivanka Trump’s screed in the WSJ is proof positive that having successful businesses and a nine figure net worth is not proof that you understand basic economics. Free markets with prices, profits & losses, and respect for private property would solve the so-called jobs problem. Government is the epitome of inefficiency and it is THE reason why we have so many problems in education, healthcare, the economy, etc., etc., etc. To her credit, she is hot.